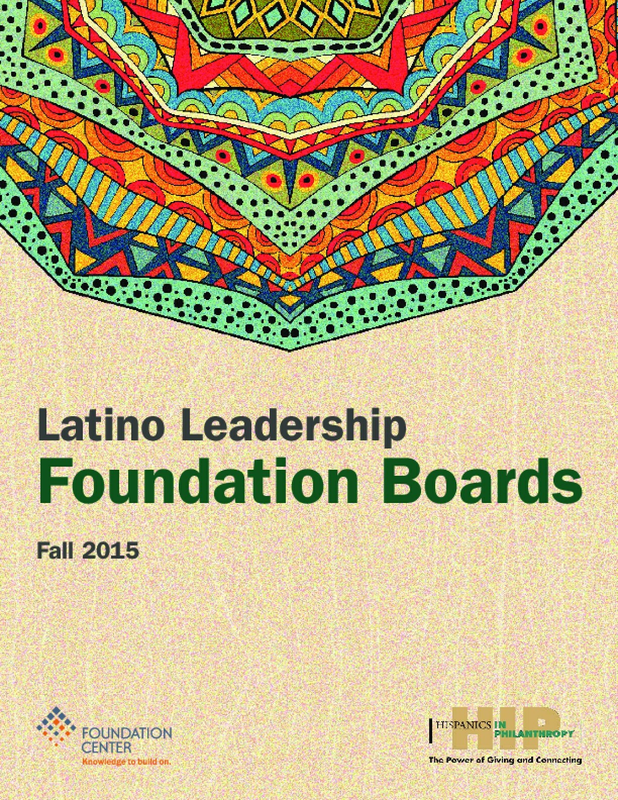 Latino Leadership: Foundation Boards supports Hispanics in Philanthropy (HIP) in its efforts to build the pipeline for greater Latino leadership on foundation boards. The report presents data on foundation staff and board diversity and lifts up the perspectives of Latino leaders themselves, based on interviews with 15 current and former board members. The analysis synthesizes interviewees' experiences, highlighting the contributions Latinos bring to the boardroom, the challenges they face, and recommendations for moving forward.